Hi, my name is Phoebe and I am in first grade. 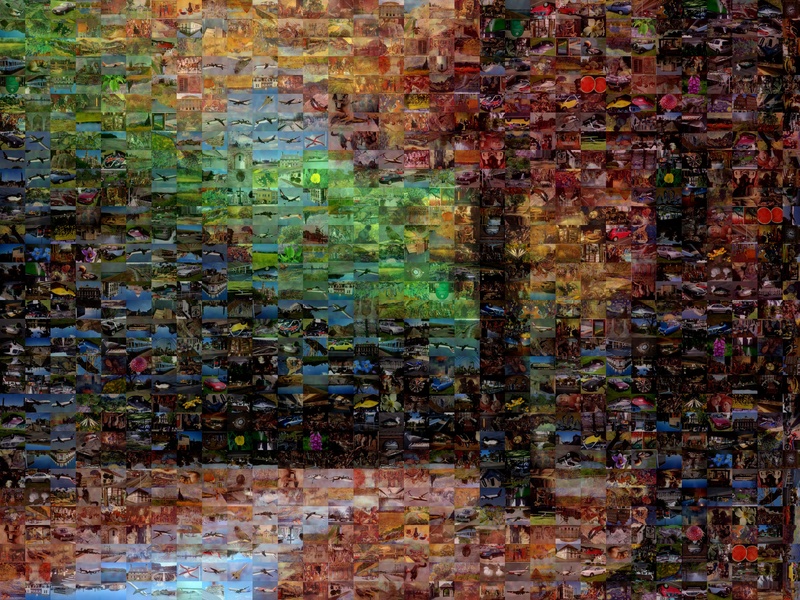 For my 100th day project, I made a mosaic with 100 pictures. I also made mosaics with 1000 and 10,000 little pictures because it was fun. The software was easy because my dad helped (a lot) and he also helped me make this webpage. You can tell my dad what you think using this form. We tried to attribute the original picture, however there are many webpages claiming to have originated it. My best guess is it originated here, but they might have just copied it from someone else too. The mosaic was easy to make, using Andrea Mosaic - software made by a friend of mine in Rome, Italy. The software is free (although donations are always appreciated) and makes great mosaics! Try it! Want a closer look at the mosaics? Here are the originals available for download. 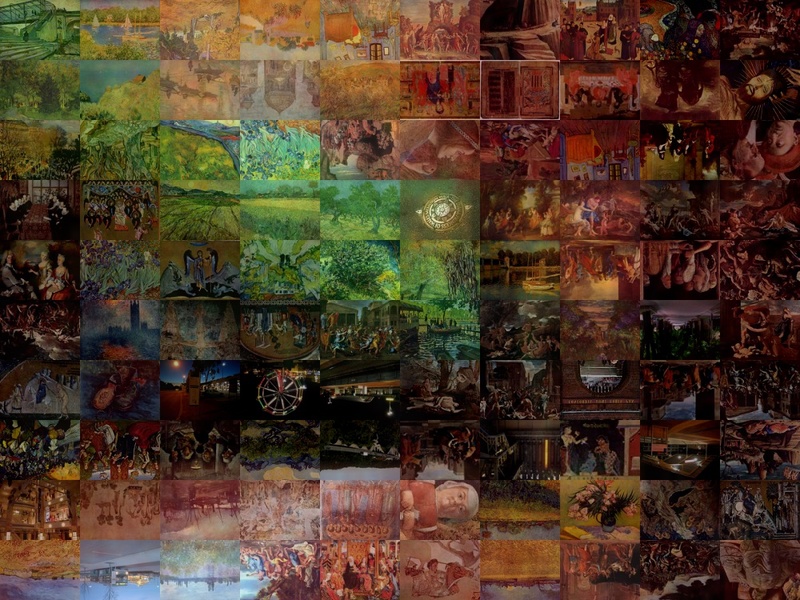 Each tile image is 100 pixels wide (regardless of how many tiles there are).